One of the first people from outside of Miami's city limits to impact the Bass scene was DJ Jealous J—now known as Jim Jonsin— from two counties up in West Palm Beach. 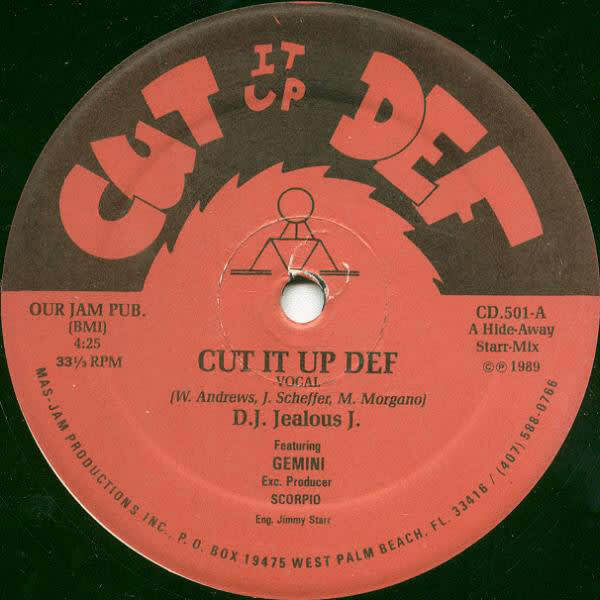 More notable for the advanced scratching techniques Jonsin introduced on the record for than MC Gemini's rhymes, "Cut-It-Up-Def" established the Palm Beach-based record label of the same name as an important outpost for Bass music. More importantly, it marked the start of a long and fruitful production career that would only hit its stride a decade and a half later, with smash hits like Trick Daddy's "Let's Go," Weezy's "Lollipop" and T.I. 's "Whatever You Like."